Encaustic is the medium which consists of molten beeswax, resin, and pigments that are fused after application into a continuous layer and fixed to a support (wood) with heat. The word ‘encaustic’ comes from the Greek and means to burn in, which refers to the process of fusing the paint. In this workshop, we will explore how to use paint, papers, and various textures with encaustic wax. 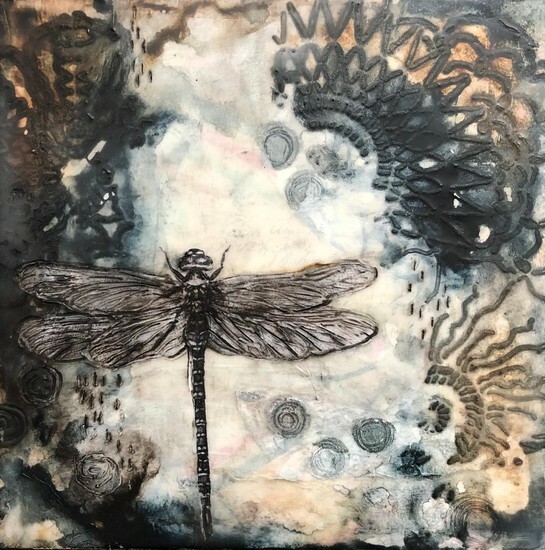 All supplies are included in this workshop and students will leave with a finished piece and a better understanding of how to create encaustic art. Mimosas and light refreshments will be provided.